Stay at home parents are not as common as they once were. Both parents need to work to keep food on the table, single parents have no choice, and sometimes having a job helps you keep your sanity. Because of this, more children are enrolled in daycares starting at a young age. There are many different feelings towards child care. 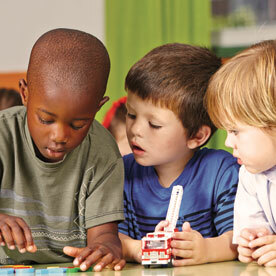 Does it make children develop better social skills? Does it cause kids to develop separation anxiety and emotional problems? Will your children copy bad habits and behaviors from other children? Will daycare ruin your relationship with your child? 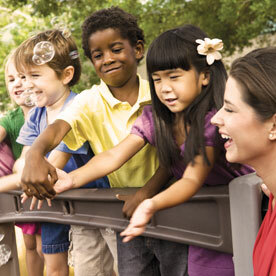 There are many positives and negatives that can be paired with children going to daycare. But it all depends on the child care center you choose for your child. You want to choose one that is stimulating, encourages them to develop, and helps them with social skills and so much more. At Inch By Inch Child Care, we work hard to give our students that care and environment they need to grow and develop. Our philosophy give you a hint at what type of school we are and what we believe. Your kids are your prized possession, and we understand that. We will do what we can to give your children the care they need and help them in any way we can. 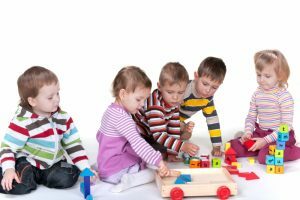 While it is hard dropping your children off at a young age and leaving them for the day, there are benefits to having your children go to daycare. Whether you are signing your child up for daycare at the age of one or six, they will have a routine while in daycare. With a regular schedule they will be introduced to structure in their lives and be able to look forward to different activities throughout the day. These scheduled activities allow for play and learning, giving your children more than just free time to play. They incorporate learning in different ways, helping your child gain new skills and knowledge while enjoying their time. At Inch By Inch, our students have scheduled activities that allow them to be independent, work in both small and large groups, and get time outside playing and exploring. Our structured routine allows for kids to do what interests them while incorporating learning activities and classes. Depending on which age group your children are in, they will have activities scheduled that allow them to develop to the next level and help them learn new skills within their capabilities. They will learn colors, number, reading, writing, and so much more depending on their age group. Obviously one major benefit of child care centers is the social interaction your children will get everyday. They will be around kids their own age for a few hours a day, allowing them to play, learn how to interact with others, share, and make new friends. They will learn skills like sharing, problem solving, taking turns, and so much more all thanks to daily interaction with other kids. Most parents look forward to playdates with friends and realize the importance of kids getting time with someone their own age. 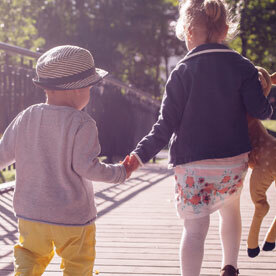 If your child is an only child, then getting this social interaction daily can really help them learn how to play with others and interact without behaving poorly. At Inch By Inch, we have group activities that allow children to work together and learn from each other. Your kids will be engaging with other students, with teachers, and with large and small groups. This is a great learning opportunity for kids, they will begin to understand how to act with others. Child care is also a great place for kids to meet new friends and start new relationships that your child can also benefit from. 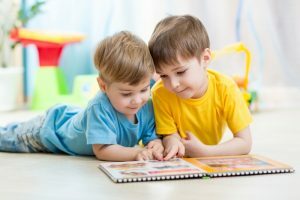 According to LiveStrong.com, a study done on early child care and development noted that children who were in daycare settings were able to form better relationships with adults and peers. They were also had more positive interactions with their mothers, which may surprise some people. The caregivers and teachers at child care centers offer guidance, encouragement, and authority to kids. This allows children to recognize other figures of authority other than parents and other adults in their family. These encouraging relationships will help them see that authority figures don’t have to be viewed negatively. The ability to talk with adults and interact with them properly will help kids as they grow. At Inch By Inch, we have great teacher to student ratios. We understand that it is important for kids to get a certain amount of attention and care. As your kids get older, they become more independent and they require less attention, which means that teach to student ratio is about one to eight. But even at this ratio, your kids will still get the adult attention they need to help facilitate learning, growth, and activities. According to Child Care Advantage, a study done by U.S. National Institutes of Health found that teens who spent time in a quality child care center as young kids scored higher academically and cognitively. In the LiveStrong.com article, they also mention that kids who spent a good amount of time in a nurturing child care environment had hight vocabulary scores. 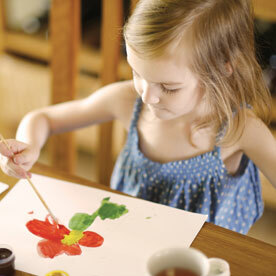 Daycare is a great place for your children to get ahead of the game before entering kindergarten. They will learn new and different skills and be better prepared for the transition into a new school setting. Inch By Inch teaches our students number, letters, colors at a young age and moves to reading, writing, and math as they get older. Learning these things before heading to Kindergarten is a great way to help them advance in school. But not only will they gain important knowledge but they will also be better prepared for the transition into kindergarten. They will be used to the school routine thanks to the routine they follow in daycare. These easy transition will help them adjust better, which will make things easier for you and for them. Many parents are nervous that their children will have separation anxiety, develop bad behaviors and habits, or not adjust well to daycare settings. In our next blog we will discuss how to get over these common issues, allowing you to see only positive effects from your child being in daycare. The benefits listed above are important to think about when deciding what child care is right for you and why child care could help your child develop. 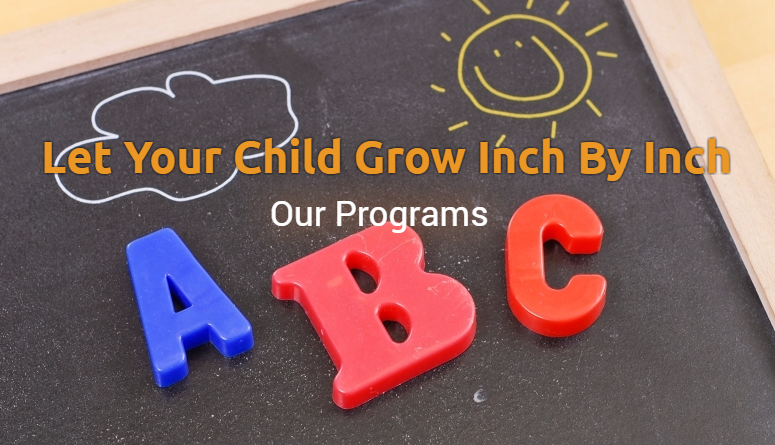 If Inch By Inch Child Care seems like the right daycare center for you, schedule a tour today! We would love you to join our family. Contact us with any questions you may have!